This guest post is courtesy of Marc Nash. Though I didn’t start writing Flash as a deliberate act; rather, I was filling in the time between publishing novels with fresh writing. Having written nearly 200 flash stories, I’m now very clear why I write them. I write them because they offer a completely liberating form of writing. Through Flash I can explore language and narrative form in ways simply not sustainable over the length of a novel. Take language first. I’ve written stories where the written words are mutations of other words (the effects of Alzheimers or a super-hero struck by radiation causing the mutation). I’ve written stories around a single word, exploring all its shades of meaning (Drones, Ellipses). I’ve even written a story around two syllables that a man hears in a bar and tries to work out whether others are talking about him. I’ve written Anti-Lipos and a story composed of 100 single-word sentences, all beginning with the letter ‘C’. I’ve written stories involving Physics formulas, Bingo Caller rhymes, and a story about an apple tree, where every word beginning ‘ap-‘ was replaced by ‘apple’, so that ‘apoplexy’ became ‘appleplexy’. Finally, I wrote a story employing the German concept of compound words to the English language; if the exact word doesn’t quite exist, then you bring together two or more words or concepts to express it. When you’ve only got 1000 words to play with, then you don’t have time for long descriptions or scene setting. You have to just dive in. With no introductory beginnings, the concept of a story middle also becomes redundant. Therefore, you can happily ignore or subvert the classical story model of beginning, middle and end. I’ve written a story that is compose of several lists of names in the different contexts in which we might make such lists. I have another story which is composed entirely of endings. A structure I use a lot is to take a central theme or metaphor (or word) and examine it in every one of its different facets. Like holding a gemstone in your hand and turning it to see how the light is reflected in its different facets. I often write about different parts of the body, so I’ve done a study of different numbers of limbs (amputee, Indian God, Octopus etc), the different and very much under-appreciated associations of the human wrist, the humble shoe, etc. I’ve used the metaphor of exploring each room in a house in order to plot the flow of a relationship. I’ve told stories without any characters, or narrated by vultures or neon advertising hoardings. This allows for a completely different sort of narrative voice. Sometimes within the span of 1000 words I’ve told 4 different stories, linked by theme or an object. 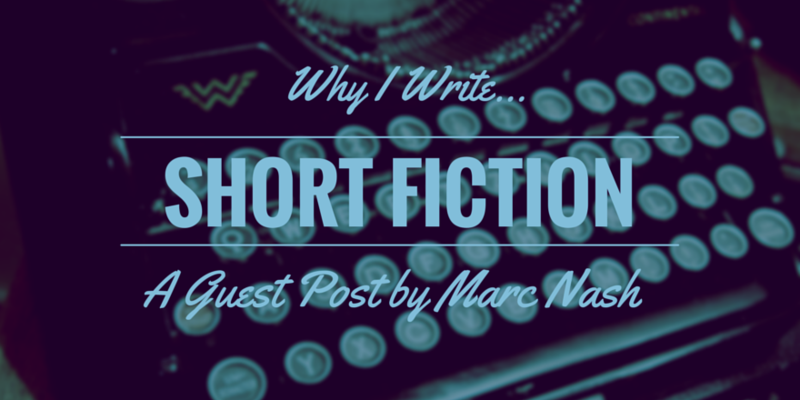 Why do I write Flash Fiction? Because the imaginative possibilities are endless. 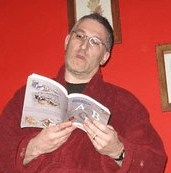 Marc Nash has published 4 collections of flash fiction, with a fifth in the works.